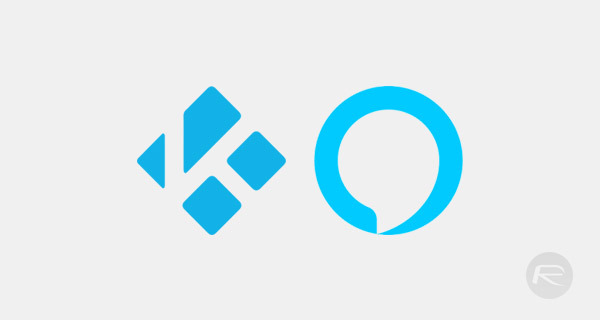 If you are an avid Kodi user, as well as a lover of what Amazon has going on with Alex and its voice services initiative, then you are likely going to love this new Kodi Alexa Video Skill which pushes the two together into a perfectly harmonious relationship. There are literally thousands of Skills available for individuals who own one of Amazon’s Alexa-powered devices. These Skills are essentially the power which drives Alexa, allowing third-party developers to use Amazon’s Alexa Skills Kit to build something which acts as the brain behind all of the devices which integrate Alexa. It’s also an opportunity for those developers to extend the capability of Amazon’s devices and to provide a more personalized experience to those who not only own an Echo, Echo Dot, Echo Show, or similar, but also other hardware or installations which these Skills can tie into. With this particular Skill, it’s all about Alexa and Kodi working together to allow device owners to invoke the playback of videos with a simple voice command. This Skill not only uses Amazon’s Video Skill API for Alexa but also ties in with the Kodi Connect Server experience to allow the functionality to take place and to allow Alexa to actually call down to the Kodi installation, locate the required video content, and actually invoke its playback as per the initial command. As an example, a device owner with this Skill installed could say “Alexa, play Iron Man” in order to start the playback of the Robert Downey Jr. movie from 2008. Additionally, if there may be any ambiguity with the command, such as a service like Spotify having an album or artist with the same name as a movie, then the user could also go a little deeper and say “Alexa, play the movie, Iron Man.” This particular Skill also supports the existence of multiple Kodi devices or instances in the home and uses the name of that device as specified on Kodi Connect. For example, a user with Kodi installed in the bedroom, called Bedroom Kodi, could say “Alexa, play the movie Iron Man on Bedroom Kodi” in order to instantly invoke that movie in the correct place. At the time of writing, the Skill is currently in beta, with more information including download and installation, available over at the relevant GitHub page.